Located inside the Hometown Heroes sports bar, Likha serves refined yet traditional Filipino dishes. 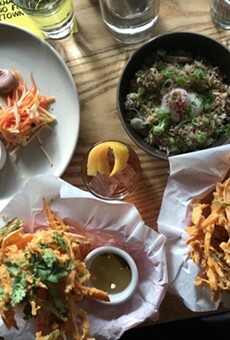 The Filipino American chefs, Jan Dela Paz and Bobby Punla, met while working at Ramen Shop and bring their classically trained, fine dining backgrounds to Likha’s dishes. 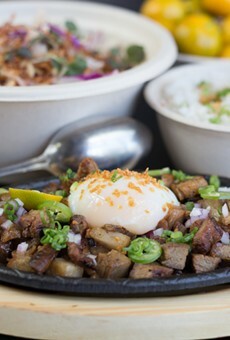 They source top-notch ingredients, adjust recipes based on seasonality, and occasionally implement unorthodox techniques, such as sous vide eggs instead of fried ones to top the pork belly sisig. The result is a fresh, exciting take on Filipino cuisine and a singular dining experience in the East Bay. That said, the sports bar setting means the environment can be rowdy, meals are served in compostable bowls, and you might need to fetch your own water.